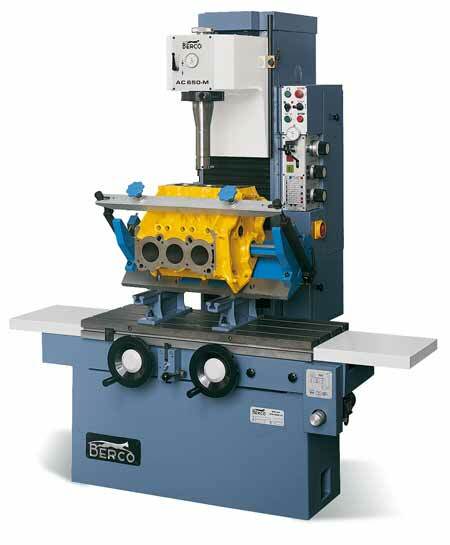 These Berco boring machines come with quick centering device and centesimal scale. The machines got six speeds of rotation and three gear-feeding speeds, also fitted with a device for quick head movement and quick coupling chucks. The M model also performs milling of blocks with a single set-up fixture to obtain perfect perpendicularity between the cylinder axis and the head plane.